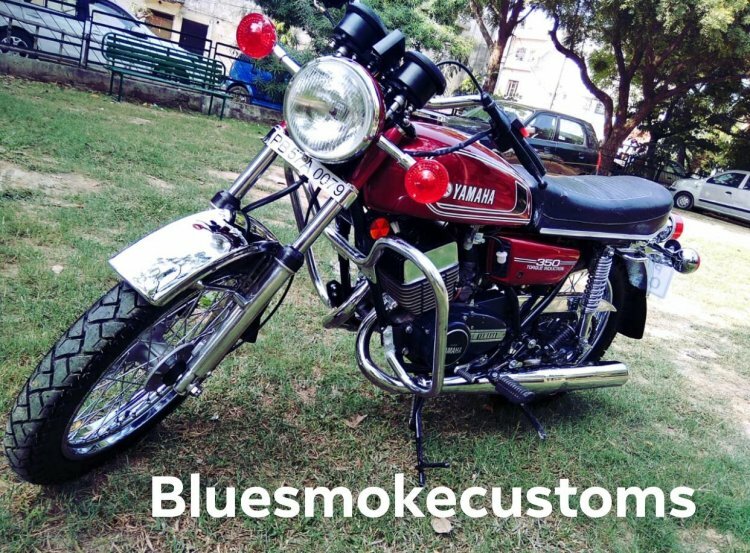 The Yamaha RD350 was one of the most exciting sub-500 cc motorcycles in India during its time. Restoration experts are complementing the peppy two-stroke engine with disc brake setup that gives a better stopping power. Last month, we brought you an RD350 that received disc brakes on both ends and a single-channel ABS. Recently, we stumbled upon a Yamaha RD350 that was restored by Prateek Khanna of Blue Smoke Customs. Apart from restoring the Yamaha RD350, Prateek Khanna also added a front disc brake, thus giving it a better stopping power. The restored Yamaha RD350 benefits from a front disc brake that utilises a Bajaj Avenger’s hub along with TVS Apache’s calliper to give the retro Japanese machine a better stopping power. 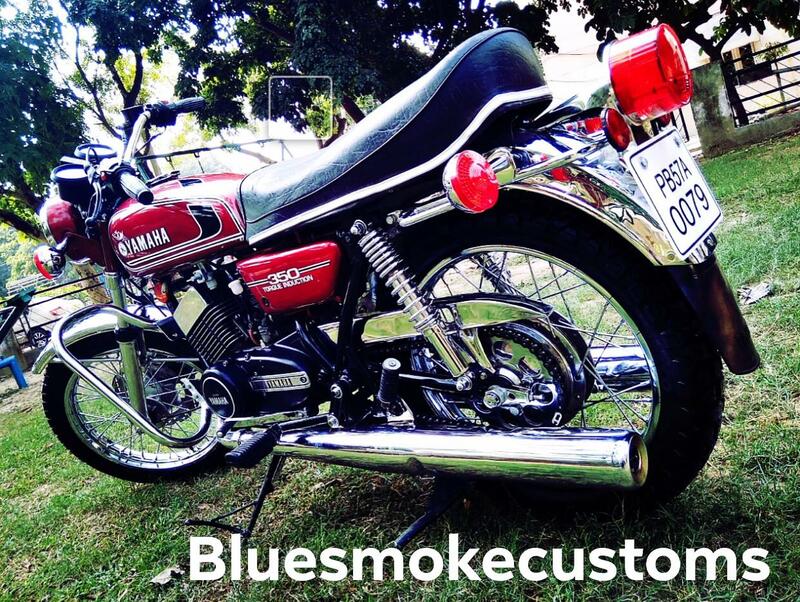 This 1984 High Torque RD350 was not in the best shape when Prateek found it. It seemed to have rusted in a scrap yard for years before it was spotted. However, proper love and care ensured that the motorcycle was up brought back to its original glory. With new paint and polished chrome, this RD350 looks as good as any new motorcycle. The original styling hasn't been spoilt by any modern day design elements. Loads of chrome ensures that the motorcycle stands out from the crowd of new machines on the roads. Round headlight with chrome mask retains the retro charm. Next to headlamp are conventional blinkers that receive chrome-mounting points. The front fender, too, gets a chrome finish. Behind the headlight is a twin-pod instrument console with the telltale indicators in the centre. The left pod on the instrument console houses the speedometer and the odometer while the right side holds the tachometer. The fuel tank gets a dark-red paint with contrasting graphics and a chrome filler cap. The Yamaha logo can be seen on the tank while the side panel displays the “350 Torque Induction” lettering. Following the fuel tank is the flat, single-piece saddle, which is followed by a chrome rear fender mounted tail light, blinkers and reflectors. Other chrome-finished bits include crash guards, engine head, dual exhaust pipes and chain cover. The restored Yamaha RD350 gets loads of chrome treatment all over that enhances the retro look of the machine. The engine, too, has been retained in stock form, and the motorcycle continues to use original barrels and Wiseco piston kit. For reference, the High Torque version of the motorcycle made 30.5 bhp, while the Low Torque variant churned out 27 bhp.